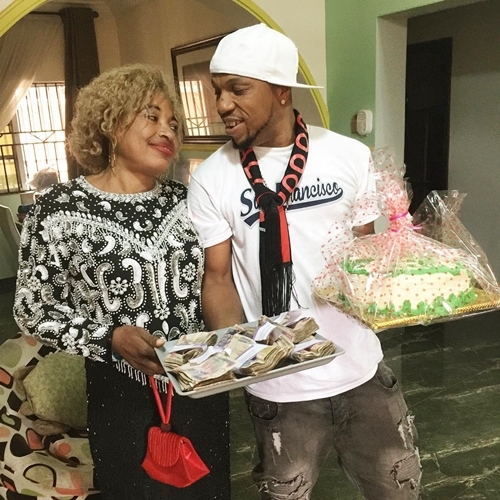 Popularly known by his fans as Amoshine, Nollywood actor, Charles Okocha has celebrated his mother's birthday in style. Nollywood actor and rapper, Charles Okocha popularly known as Amoshine is today celebrating his mother's birthday today. 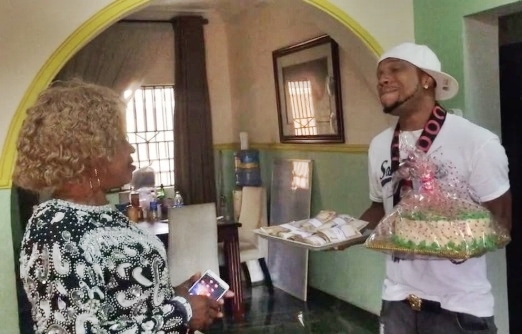 The rapper who is also known as Igwe 2pac took to his Instagram page to share a photo of himself with his mother holding a plate full of cash and cake inside their sitting room. He captioned the photo; "Happy birthday mama, love u for ever more life more life #NUNUGANG #WEGLOBAL #ACCOLADES."